If you’re thinking about getting a pool for your backyard, you’re on the way to making a decision you won’t regret. 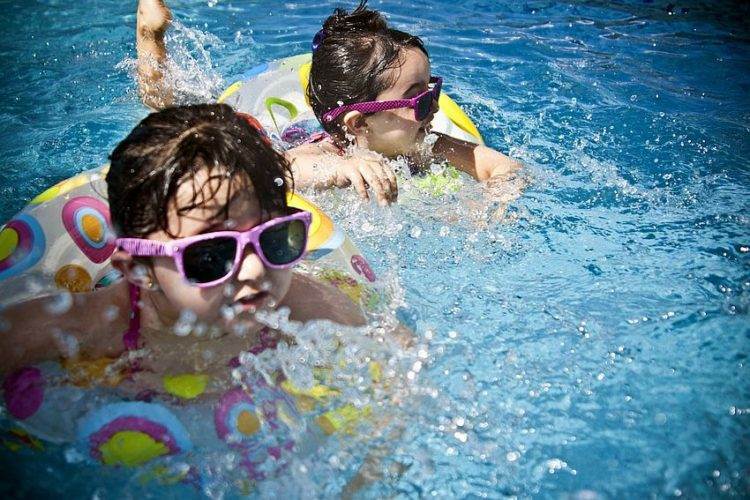 Having a pool is a great way to cool down in summer, it’s perfect for encouraging quality family time, it’s an excellent centrepiece for a party, it keeps you active and healthy – and best of all, it’s simply great fun. But maybe you’ve had that pool for a season or two now, and every time you say ‘Hey kids, come and have a swim!’ you’re met with a response about the Xbox being much more fun. Well, we’ve got three words: swimming pool games. These great swimming pool games are sure to get bored children off the couch and computer chair and enjoying some family time in the fresh air. And the best thing about them? They’re incredibly cheap – or in some cases, completely free. Invisi-what? We said ‘Invisibottle’, but don’t get confused. Just grab an old 2-litre soft drink bottle – preferably with a white cap – fill it with pool water, get the kids to cover their eyes and shout ‘Go!’ as they hear it plop into the pool. The first to find it is the winner! Just like invisibottle, there’s no need to spend a fortune on pool toys. Just buy a $2 packet of ping pong balls from the local cheap shop, draw ‘points’ numbers on them with a waterproof pen, and toss them into the pool. They will float, of course, but your kids will enjoy the enjoy the chance to jump into the pool to collect the highest number of points possible. So you’ve got those ride-on pool toys, but the kids are bored of riding them. You have those pool noodles, but the only thing they’re good for is being chewed by the dog. Combine the two, however, and you have a great game. Two players sit on their ride-on pool toys and joust each other to the ‘death’ (falling into the water) with their noodle ‘swords’. You’ll be surprised just how much your kids will love the simplicity of this game. All you need is a handful of coins, of varying values. Someone tosses them into the pool, and the kids dive to the bottom, ideally trying to find the really valuable gold ones. This is like ‘tag’ for the swimming pool, but with a twist. In reality, there are hundreds of different ways to play tag, and your kids should be encouraged to make up as many different games as they can think of. But if they need a little guidance, try this one: when someone is tagged, they need to stand still, like an ‘ice block’. The way they can get ‘untagged’ is by another player swimming underwater and touching their leg. And the best thing about being under water? You can’t get tagged yourself. So, time to get the kids playing outside! There are plenty of great ideas for kids swimming pool games out there, do you have a gem from your childhood you’d love to share in the comments?